American trial lawyer Dana Taschner is known throughout the United States and abroad for groundbreaking legal cases. Selected from over 400,000 lawyers, the American Bar Association named Dana the Solo Practitioner of the Year. In 2017, Dana was named Lawyer of the Year by Best Lawyers in the practice area of Mass Torts, Los Angeles. The United States Senate presented Tribute to Dana Taschner for "fighting oppression" for his clients. Taschner has been featured on news programs CNN, CBS 60 Minutes, MSNBC, CNBC, and major publications such as New York Times, USA Today, Los Angeles Times, and Wall Street Journal. Clients and legal peers have rated Taschner with highest national rating for legal ability and ethics (AV-Preeminent) every year since 1992. Dana has been engaged in a range of cases, including complex business disputes, global medical device recalls, nationwide pharmaceutical drug recalls, unsafe vehicles, catastrophic injury, intellectual property, Internet security, privacy, and electronic commerce. For over 20 consecutive years, Dana has been “AV” rated, the highest professional rating for ability and ethics. 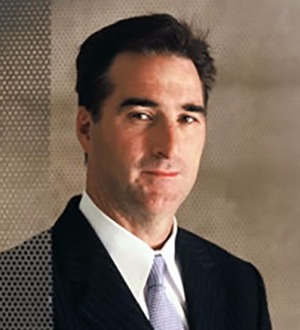 Dana has been involved in a number of nationally significant cases, including complex class actions, medical device, pharmaceutical product liability, intellectual property, Internet, constitutional, civil rights, business disputes, unfair business practices, major felony (federal drug task force/conspiracies), international trademark and brand protection, and other cases. Dana’s cases have been in diverse areas of the law and have included complex legal and procedural issues. Among the cases litigated by Dana over the last two decades are Silicone Gel Breast Implant Litigation, Rampart civil rights litigation, Diet Drug (Fen Phen) Litigation, Rezulin Litigation, software security litigation, vehicle and SUV rollovers, hip device litigation, knee device litigation, transvaginal mesh litigation, hernia mesh litigation, international business claims, technology and media litigation. Dana has represented clients from over a dozen countries in cases before courts in the United States and the World Intellectual Property Organization (WIPO) in Geneva, Switzerland. In 2000, Dana was appointed as an Attorney Settlement Officer for the United States District Court for the Central District of California in the complex specialties of class actions and product liability. While most cases handled by Dana are individual cases on behalf of individual plaintiffs, some of the cases undertaken have involved nationwide product recalls, new global technology, or presentation of novel issues of law resulting in important legal decisions. Some of the cases have resulted in media coverage in the United States or abroad. Called a “legal luminary” by the Wall Street Journal and a “great plaintiff lawyer” by the Huffington Post, cases undertaken by Dana have been featured on CNN, 60 Minutes, Fox, Headline, MSNBC, CNBC, BBC, Al Jezeera, Swiss National TV, Canadian National Public Radio, Tech TV, and covered by New York Times, New York Daily News, New York Post, Wall Street Journal, Washington Post, Los Angeles Times, Los Angeles Daily News, Yomiuri Shimbun, Bild, Sun, USA Today, Seattle Post Intelligencer, Orange County Register, La Opinion, Times of India, Computer World, Wired, CNET, PC World, Computer Business Review, Computer Weekly, PC Security News, China Byte, E-Commerce Times, Computable News Amsterdam, ZD Germany, Northeast China News, Arizona Republic, Miami Herald, and others. Dana has authored articles on important and emerging legal topics published by International Financial Law Review, Los Angeles Lawyer, Arizona Law Journal, Hawaii Law Review, and authored Opinion Editorials published in the Wall Street Journal, Los Angeles Daily News, USA Today, and other publications. Dana’s recently published articles include, “The Clash of International Arbitration and Sovereign Immunity” featured in International Litigation News published by the International Bar Association (London), and “Pliva Shields Big Pharma from Billions” published by the San Diego Law Review, Volume 50. Dana is a sought after speaker at regional, national, and international conferences sponsored by American Bar Association, Federal Bar Association, International Bar Association, American Association for Justice, and others. Dana's first trials and appeals were as an attorney at the world's largest law firm Baker & McKenzie, working with legendary Supreme Court lawyer E. Barrett Prettyman, Jr., who also mentored current Chief Justice of the United States Supreme Court, John Roberts. Peer Reviewed in BEST LAWYERS IN AMERICA, "Dana Taschner possesses the perfect combination of knowledge, experience, and social skills. While his expansive portfolio and extraordinary success record are unmatched, you would never know it based on Dana's collected and relaxed demeanor. Unlike many attorneys who have oversized egos and something to prove, Dana simply gets down to business and has a tremendous reputation for getting the job done."